Panto comes to North Shields! Who can stop the evil Sheriff of Nottingham? Not only does he make the local villagers’ lives a misery with his endless taxes, he’s now taken the beautiful Maid Marian off to his castle to become his new wife. And he didn’t even ask her for permission! 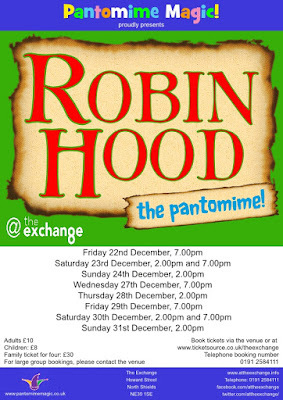 Join Robin and his friends in an all-new pantomime adventure from Pantomime Magic. There’ll be singing and dancing, slapstick, romance, and laughs aplenty in this fun-packed show for all the family.